How is Active Collab different from any other project management tool out there? Is it worth it? Almost every project manager knows that being agile and savvy in today’s fast-paced digital world is not an easy ride. Sooner or later, they all start using a project management tool, hopeful it will improve their workflow and empower teamwork. There is only a handful of first-hand project management tools like Active Collab that truly offer solutions for any purpose, without causing you additional stress while managing ambitious projects. A lot of small and big businesses (such as teams from Nokia and Apple), as well as universities (such as Berkley University), opted for Active Collab as a perfect solution for controlling and managing their valued data. What Makes Active Collab Stand Out? So, what makes Active Collab stand out from other popular project management tools? Firstly, it is an all-in-one tool for project management, task overview, team collaboration and billing which simplifies everything your team is working on. 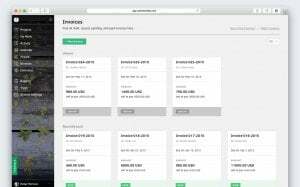 It allows you to have complete control over your projects, have necessary discussions with your team, share projects with clients and limit the visibility of the data you wish to hide. And then, when the job gets done, you can make an invoice for your clients in just a few clicks. In addition, Active Collab offers a self-hosted project management solution that ensures all your data is stored safely on your server. Most agencies charge hourly, especially if the project they are working on is complex and prone to scope creep. With Active Collab, you can keep time records of each task, log that time directly on a task and, finally, present your client with the clear layout of what you have been working on. This way, you can prove your clients how much time you have spent on the project and invoice your work in less than a minute. What’s more, you can create estimates and then allow your employees to add their own time records against them and give any necessary comments. The easiest way to track time and avoid losing money on billable work is to use the Time tracking features. This feature automatically stores time records when you stop working. Not only does it save you from administrative manual work of filling in timesheets with time records, but it also saves a lot of time. Although it’s impossible to accurately estimate the amount of time you‘ll need for some project, creating any kind of realistic estimate and re-calibrating it as you go along is good for a start. To stay on the top of the project, it’s essential for your team to keep track of all the updates and issues that may arise. Instead of organizing daily meetings, Active Collab gives an opportunity to regularly update all the tasks inside the project management app. This enables the entire work-team to follow all of its stages and activities. It allows you to put all your projects in one place and see the task status, ask for a status update and leave a comment. The process of project planning is instrumental for conducting successful business. Active Collab offers a handy built-in project planning system that helps you group and organize your tasks by different categories such as progress, type of work, feature, priority, complexity and others. You don’t have to organize tasks by time or assignee because you can get them automatically. Also, you can organize tasks by type of work and keep them in view as a great visual reminder of the progress you’ve made. This way the project become easily manageable and planning is no longer a tedious job. With all the handy features Active Collab has to offer, you can keep everything in one place. Keep your team in the loop and seamlessly manage your projects which will undoubtedly upscale your team’s performance in the long run.